I recently got to try out some of the amazing new products from the Beyond Postmarks line from K and Company. This line includes embellishments and cards and envelopes that pop up, fold out, pull out and turn. This collection is so much fun, the colors range from fresh and funky to vintage and distressed. There are items like scratch off designs, spinable chipboard pieces, honeycomb pop ups, detailed die cut cards, double fold out cards, sliders and so much more! 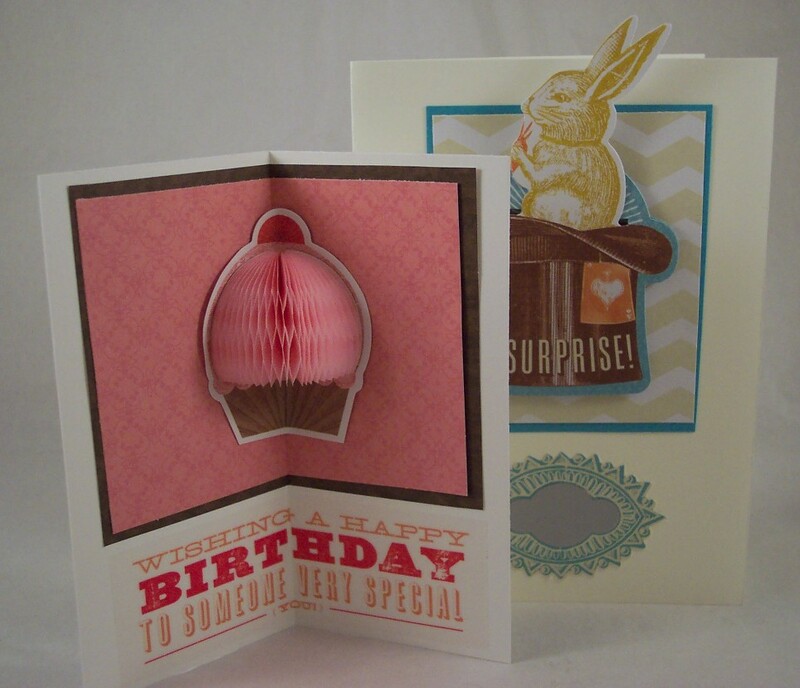 The items really co-ordinate well together so it’s easy to mix and match and put together a quick card in just minutes. But there is so much detail in these embellishments it looks like it took you hours! In the cards shown above the bunny rabbit pulls out of the hat and the sentiment is a scratch off. How fun is that!? The honeycomb cupcake is already assembled and ready to adhere inside the fold of a card. 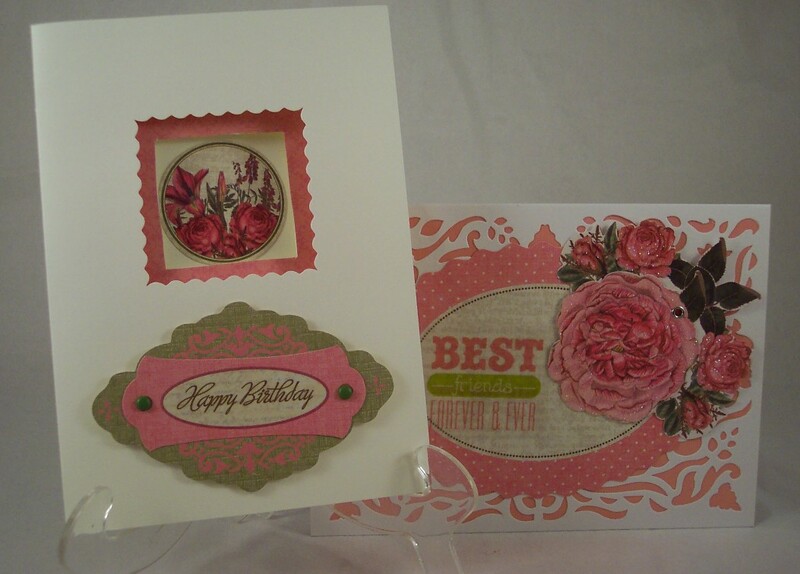 This rose card used one of the die cut card fronts with a vellum sticker and fold out rose fan. The tri-fold card has the window cut in the middle and I added some labels and pattern paper to it. So pretty and elegant! 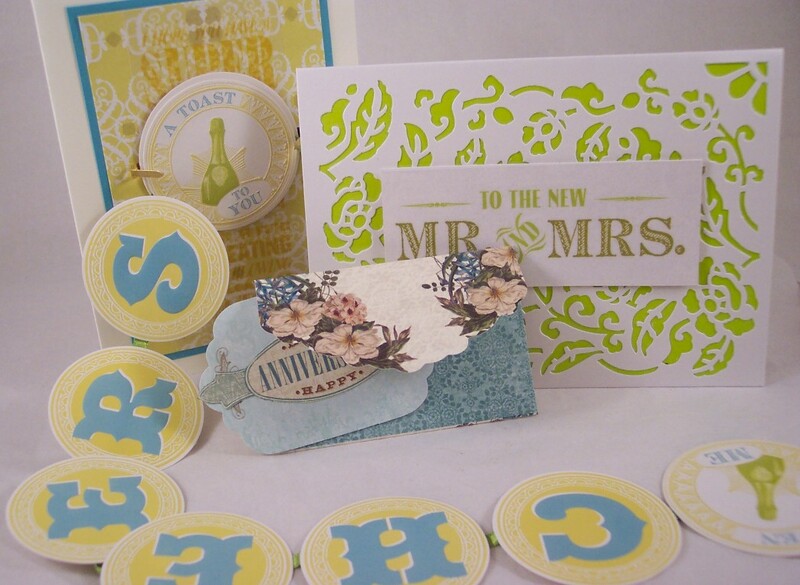 This wedding card is another die cut card and vellum sticker, with such a wonderful modern green color. The Cheers card is a pull out banner that can be removed from the card and hung on the wall, cute little gift and card in one! The tiny anniversary card is the perfect size to attach to a gift. This large double fold out pink card is monotone and already embossed, I added a layered embellishment inside and ties to keep it closed. 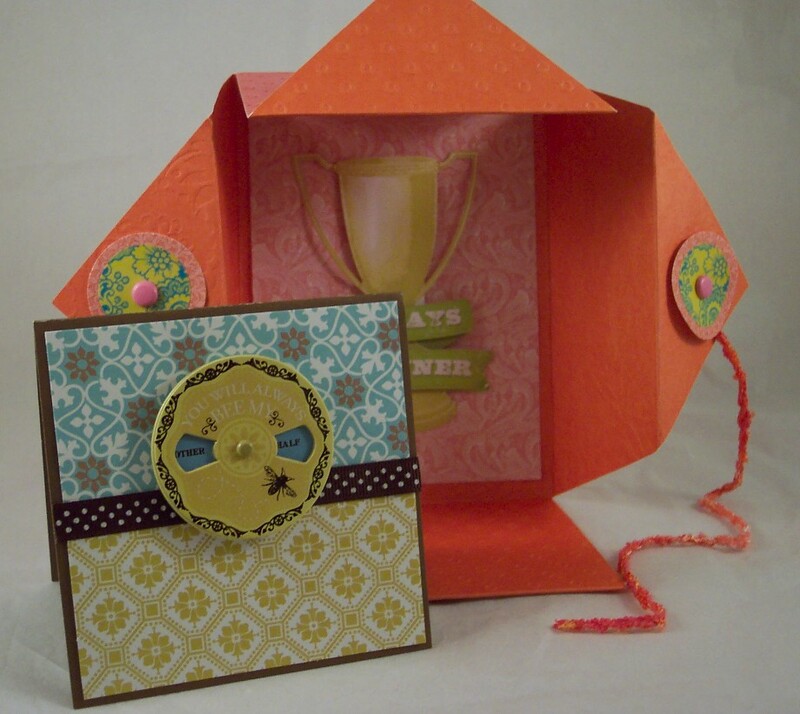 The spinner card is just adorable, it’s chipboard and the top moves to reveal a different message in each window.